ICVS is pleased to provide a summary of the regulations for registering dogs in Beijing municipality for dog owners. Regulations have been confirmed by the International Center for Veterinary Services (ICVS) from the laws and regulations on dog ownership and from our numerous interviews with the Public Security Bureau (PSB) and the Animal Husbandry Bureaus of Chaoyang, Shunyi and other districts. All dogs are required to be registered by law in Beijing. First time dog registration may be done on any day of the year, but some PSB precincts may encourage owners to register after May 1st, when the new dog licensing period begins. Dogs licenses are valid from May 1st to April 30th of the following year. All dog licenses expire on April 30th each year. Owners must renew their dog licenses between May 1st and June 30th annually. New dog owners are strongly advised to REGISTER THEIR DOGS immediately if this has not yet been done. There are ongoing rounds of enforcement by the police. These enforcement rounds are part of the government’s efforts to regulate dog ownership and to ensure public health by checking for annual rabies vaccinations for all dogs. Enforcement has become more regular throughout the year but is normally stepped-up before major holidays (e.g., National Day, Chinese New Year, May Labor Day, etc.). If you live within the districts of Chaoyang, Dongcheng, Xicheng, Chongwen, Xuanwu, Haidian, Fengtai, and Shijingshan, you must register your dog at your local police precinct (pai chu suo). 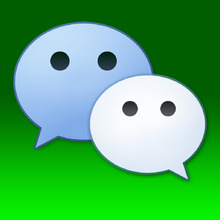 Ask your management company or landlord or neighbors which "pai chu suo" oversees your neighborhood. Dogs residing and registered within these 8 districts may not be taller than 35-cms from ground to shoulder. Only ONE DOG may be registered to each HOUSEHOLD address, with the dog usually under 35-cms (measured from ground to shoulder). There have been some dogs that are slightly taller than 35-cms that have still been approved and given registration licenses (e.g., up to 50-cms or more such as Beagles, Maltese, Poodles, Cockers, Bichon Frise, Mini Schnauzers, assorted Terriers, Shelties, Shiba Inus, small mixed breeds, etc.). This is up to the police officer on duty at the time to decide if your dog meets the height restriction. What the police will not allow are large dogs (some also classified as aggressive dogs) such as Collies, Dalmatians, Dobermans, German Shepherds, Golden Retrievers, Great Danes, Huskies, Irish Wolfhounds, Labradors, Labradoodles, Malamutes, Newfoundlands, Rottweilers, St. Bernards, Mastiffs, etc. These breeds are all classified as large dogs and are not allowed to be owned/registered within the 8 districts roughly clustered within the 5th ring road. Each dog is registered to a HOUSEHOLD address (e.g., address on lease contract or property deed), NOT to an INDIVIDUAL (e.g., passport holder). If you own two (or more) dogs then you will need to find a relative or friend or colleague who will allow you to register your second dog using their household address. Please ensure this second household address has not already been used to register a dog. For owners who have "large" dogs within 5th ring road, it is recommended to use another property address outside 5th ring road to register your dog. Make sure this property address outside the 5th ring road is approved by the PSB for registering large dogs. Districts outside 5th ring road where large dogs may be legally registered include Shunyi, Pinggu, Changping, Tongzhou, Huairou, Miyun, etc. 1). Your dog - police may want to see the dog on the initial visit if you are registering within the 5th ring road, but this seems to depend on each individual pai chu suo. Visit your pai chu suo in advance to inquire if you must bring your dog at the time of initial registration. 2). Two photos of your dog (one-inch passport size). Must be a front-facing head shot from the neck up. 3). Your original ID: Shen Fen Zheng or passport and foreigner household registration document (obtained from PSB and used to extend your China visa), etc. 6). CASH - Initial registration fee within the 8 major districts is RMB 1,000.00. Annual registration renewal thereafter is RMB 500.00. 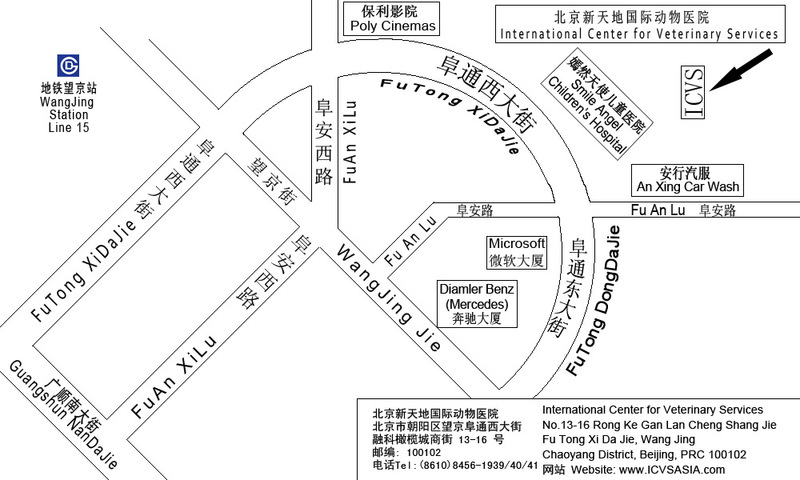 Fees may be lower in areas outside of the 8 districts (e.g, Shunyi, Pinggu, Changping, Tongzhou, Huairou, Miyun, etc.). If your dog is NOT YET REGISTERED and you are also planning on neutering/spaying him/her, then you may be entitled to a 50% discount (e.g., RMB 500.00) on the initial registration fee if you provide proof to the police station that your dog has been neutered/spayed by a legally registered and licensed ANIMAL HOSPITAL in Beijing. If your dog is ALREADY REGISTERED, you may be eligible for up to 40% discount (e.g. RMB 200.00) on your annual renewal fee. The spay/neuter discount is only given ONE time by the Public Security Bureau at the time of initial registration or registration renewal. 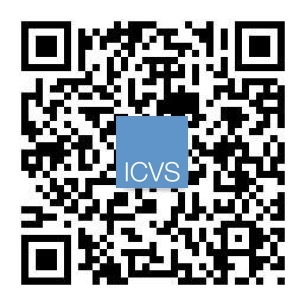 The International Center for Veterinary Services (ICVS) is a legally registered and fully licensed animal hospital that is authorized to perform neuter/spay surgeries and to issue the official neuter/spay certificates. Owners can present these official neuter/spay certificates as proof to the police station. With the neuter/spay certificates, owners may receive up to 50% discount on the initial registration fee or a significant one-time discount on the registration renewal fee. Please check with your animal hospital first before scheduling the neuter/spay surgery to ensure that it is legally registered and licensed to perform the surgeries and can provide official spay/neuter certificates. Most CLINICS are not legally authorized to perform surgeries in Beijing, nor are pet shops, breeders, dog training schools or grooming salons with an occasional visiting veterinarian. The police may not grant you the discount if you cannot produce an official spay/neuter certificate from a legally registered animal hospital in Beijing. Dogs that are neutered/spayed overseas are currently not eligible for the spay/neuter discount on registration. Depending on the PSB precinct (pai chu suo), you would normally receive your dog's "picture ID license" within the month. Always keep the official “fa piao” (tax bureau receipt) from the pai chu suo. 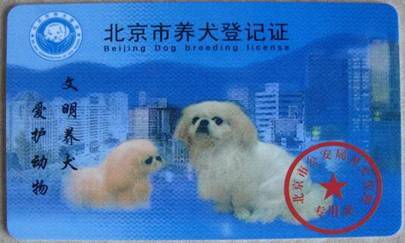 Until you receive the license, your “fa piao” is proof that your dog has been registered. Every dog in China is required by law to be rabies vaccinated annually. 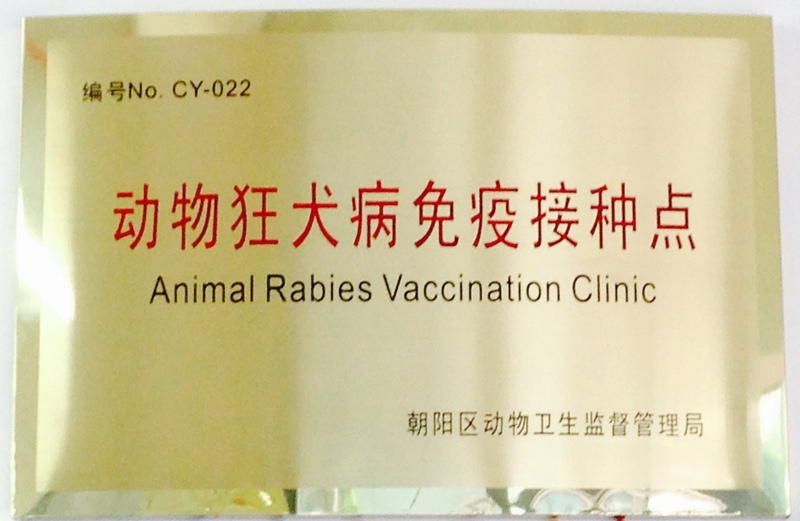 China does not recognize the 2-year or 3-year rabies vaccines given to dogs (or cats) that are used in the USA/Canada, EU and other countries. For already registered dogs renewing their licenses, owners must present proof that the dog was rabies vaccinated during the past 12-months at an officially designated animal rabies vaccination hospital. 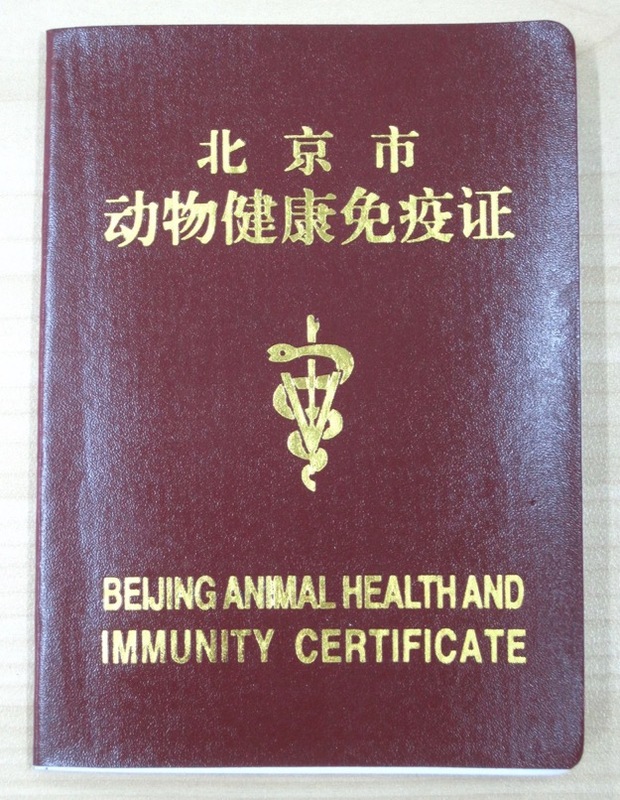 Legally designated animal rabies vaccination hospitals can issue the official Beijing Animal Health and Immunity Certificate (e.g., vaccination red book, also required for export) and an A4 paper certificate verifying rabies vaccination. 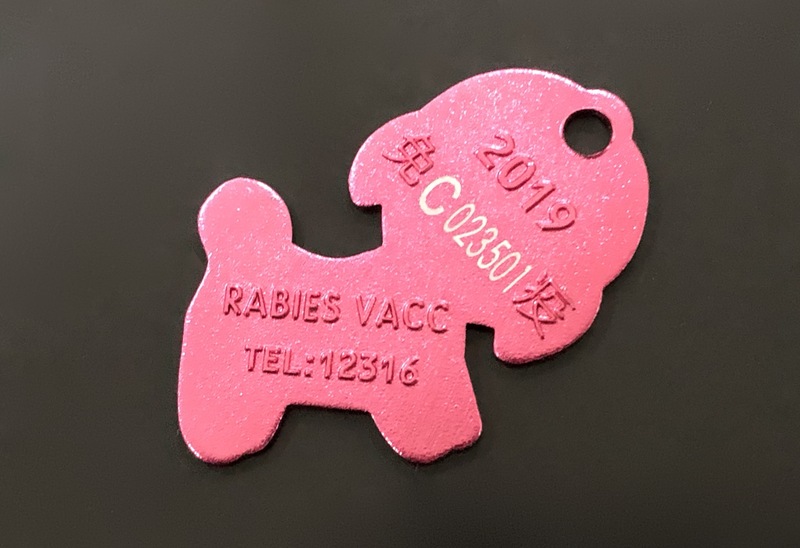 Since January 2015, dogs vaccinated in Beijing municipality are also issued a rabies vaccination tag (see photos, below). The tag must be worn by all dogs on their collars. The color and shape of the rabies tag changes annually to allow easy verification that the vaccination is current. Owners with a valid dog license from Chaoyang District may bring in the license and the fa piao to ICVS and enjoy a FREE annual rabies vaccination and 50% discount on canine distemper vaccination. Owners with valid dog licenses from all other districts enjoy a 50% discount on rabies and canine distemper vaccinations at ICVS! Please ensure your pet hospital is an officially designated animal rabies vaccination hospital. Only officially licensed and designated animal vaccination hospitals are allowed to purchase and administer animal vaccines that are legally imported, registered with the State Food & Drug Administration (SFDA) and safe for pets. Designated animal vaccination hospitals must display a gold plaque issued by the Agricultural Bureau featuring the hospital’s “Vaccine License Number” (see photo, below). Unauthorized facilities such as pet shops, pet supplies retailers, online retailers, boarding kennels, grooming salons, dog training schools, non-designated/non-authorized animal clinics and hospitals are NOT approved to procure and administer legally registered vaccines. Please take caution as you may risk having your pets injected with products that may have been sourced through unsecured illegal channels. These products may be expired, counterfeit, or improperly stored and ineffective (e.g., non-refrigerated vaccines). 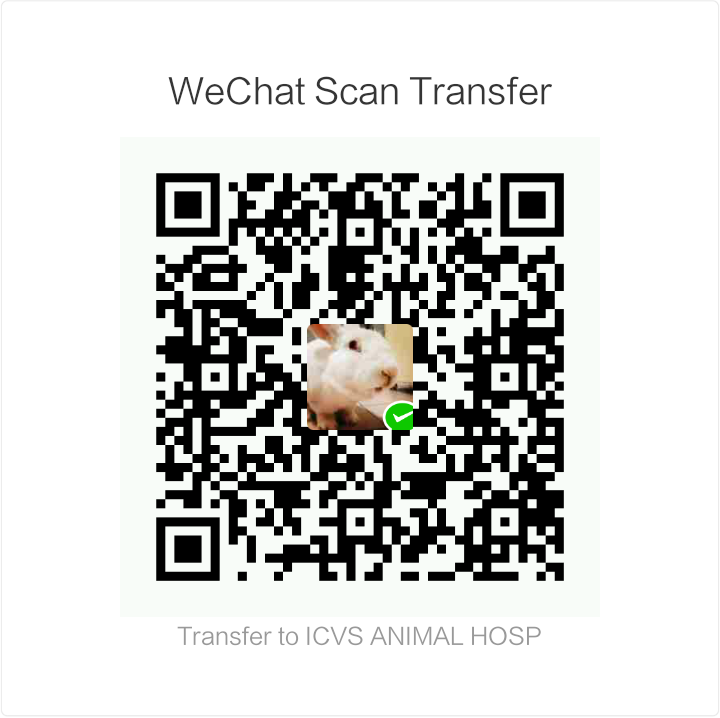 ICVS is a legally registered and officially designated animal vaccination and full service hospital in Chaoyang District and can provide rabies, distemper and other vaccinations for all pets. ICVS can issue the official vaccination red books, required for dog registration renewal and export, and the rabies vaccination collar tags. Many dog owners outside of 5th ring road, especially in the Shunyi villa areas, may be able to inquire with their management agents for assistance on registering dogs or at least obtaining guidance on the process. Dogs may be over 35-cms outside of the 8 major districts. Please check with your property management agent or local PSB precinct (pai chu suo) for confirmation. Many of the villa operators have negotiated with local police precincts to allow their residents to register dogs (especially large dogs) to the villa compound. There are still registration processes and fees involved. Please contact your property management agent or neighborhood Public Security Bureau (pai chu suo) if you live outside the 5th ring road and are unsure about how to register your dog. Please be advised that there may be some residential compounds technically INSIDE 5th ring road that may not allow large dogs. Please ask the management agents or the local Public Security Bureau overseeing the area to verify if large dogs are allowed. It would be unfortunate to sign a lease only to later find out you cannot register your large dog in your compound. Please call or email the International Center for Veterinary Services with any questions on dog registration, importing and exporting pets, microchipping, vaccinations, rabies antibody titre testing, rabies prevention and any animal health care or pet care issue. 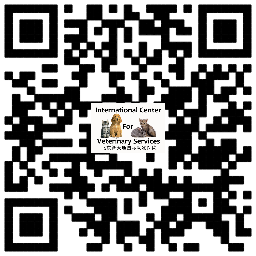 © 2006-2019 International Center for Veterinary Services. All rights reserved.